When you outsource some of your SEO work to an SEO agency, you’re going to be freeing you and your employees up to focus on much more important things. 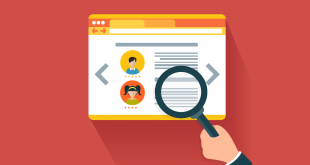 But what are the exact benefits that comes with hiring an SEO agency? We’re going to go through ten of the top benefits that come with SEO agencies. Keep reading to learn more! Depending on the SEO agency you choose, social media management is one of the top benefits that comes along with it. You shouldn’t be spending your precious time managing your company’s social media profiles. This kind of thing takes much training to master and tons of time to make successful. That’s why you should look into getting a SEO agency to manage your social media accounts for you! Link building is one of the keys to being successful in the SEO world and is a big benefit that comes with bringing an agency on-board. This includes getting the link to your company’s website on other high-authority sites and building up links to your products on your site. This takes a lot of time to make happen, so why would you use your time to do it? If you are looking for a website redesign or need a website in the first place, getting a SEO agency to build it for you is the way to go. Building a website is a time-intensive task that requires a lot of education to go well. When you bring a SEO agency on-board, they are going to be able to write high-quality content for you company’s blog or site, in general. This is a fantastic benefit since your team probably doesn’t have the time or the funds to get full-time writers on board. Why would you hire separate writers for your blog, when you can get an SEO agency that does that and more? You will want someone to come in and analyze how successful your website is once in a while. And a SEO agency is going to be able to do that for you! They are incredibly knowledgeable about how websites should be performing and what to do when they are underperforming in certain statistics. How much progress are you making with your SEO? Are you missing something crucial that can bring your company to the next level? These are the kinds of questions that will be answered when a SEO agency comes in and does a detail report of your processes. This information is crucial if you want to continuously improve. 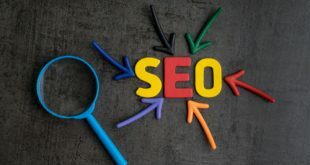 When you bring on a SEO company, they are going to have a dedicated project management head and an entire team who will provide you with all of their services and will keep you very informed about the advancements made in marketing, website development, SEO and other publicity branding activities. One of the best benefits that comes with hiring an external agency is the pressure that it takes off of your human resources’ budget. You won’t have to spend a dime on training new employees, providing them benefits, or making sure they are engaged. Your SEO agency is going to take over from there. When you bring a SEO company on-board and if they are high-quality, you can be assured that results will be generated and quickly. These companies are experts in their field, which means that they know what things they should be doing in order to bring you results as soon as possible. No worries there! If you ensure that you’ve signed on with a high-quality SEO agency, you are going to get what you pay for. This is an investment in the long-run. And when you see those results coming in from SEO and everything else they are providing, you are going to be so thankful you allocated some of your budget to this agency. The benefits of on-boarding a SEO agency are so numerous that we can’t even go through all of them in this article. Be sure to do your research before-hand, but there’s no doubt that your company is going to be better off when you have an SEO agency.